GQ JAPAN March 2019 Magazine Japan import. Condition is Brand New. Shipped with USPS Media Mail. Photo of actual item. What you see is what you get. *Please note* The issue was received via US Mail, so it may contain the usual slight scuffs/imperfections as any piece of mail endures. Issue sold as is. Nakayoshi Japanese Magazine. August #8 2018. Conditions: Opened Only. EXTRA PRIZES INCLUDED. Size: 26 x 18 aprox. For sale is an original 1970's made in Japan Bruce Lee photo book. The book is in good condition with normal wear. South Korea, Taiwan, China, Hong Kong, Singapore, Vietnam. Other countries. France, Belgium, Poland, Portugal, Russia,Brazil. Start "Splatoon 2", or "Restart" if it is still running. Enter serial code on the left bottom of the screen. TRANSPORT INSIDE JAPAN. Go to a box near the starting point and press "A" button. Multiple sets may appear on one photo for you to view the item more efficiently from different angles. 5 (mini) magazines from COS-Mode Japanese Cosplay Magazine, all good-excellent condition, see pictures. From quick visual inspection These appear to have been lightly read. BONUS SERIAL CODE. You can get serial code ! 3 point set". We are very confident in overseas sales. Usa,Canada,Australia USD26.9. ( Standard) Asia USD26.9. 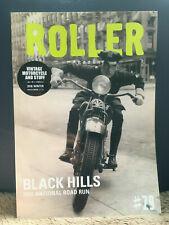 - Item condition : New - Publisher : Pia - Publish date : April 11 , 2019 - Pages: 112 pages . Men’s Ex magazine, July 2010 edition, mint! Pristine copy of the latest Nostalgic Hero magazine - Get it here for less! Men’s Ex magazine, October 2009 edition, mint! 110 pages of motocross action. National Motocross. Japan Motocross. The magazine has been sitting in a box in an attic is in great shape with only slight signs of corner wear. Cover: Yuzuru Hanyu. Number 875 Sports Graphic Number. Cover: Yuzuru Hanyu. Number 868 Sports Graphic Number. 110 pages of motocross action. National Motocross. Japan Motocross. World Motocross. Japan market. Used and clean condition, regular use and storage wear as shown. 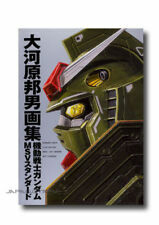 Perfect for any enthusiast or collector. 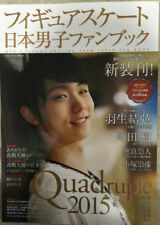 Cover: Yuzuru Hanyu. 2014-2015 Season Guide. Clean, unread copy of Option Magazine October 2016. Typical light shelf wear. The item is in the public domain. 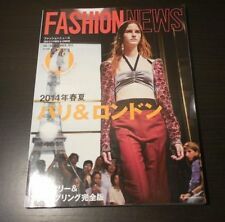 FLASH MAGAZINE JAPAN 2014-2015 COLLECTION PDF DVD-R. 53 ISSUES 2014-2015 IN ULTRA HQ PDF FORMAT. All are in pdf format readable using adobe acrobat. has been compiled from professionally scanned original books in effect you will be reading the original books but on your computer screen. THE ITEM PHOTOGRAPHED IS THE EXACT ITEM YOU WILL RECEIVE. WOULD LOOK GREAT HANGING IN YOUR DEN, REC ROOM, OR COLLECTION ROOM! Rolexfan vol. 2 Japan Watch mag book mook high quality 1000s photos! 140 pages! 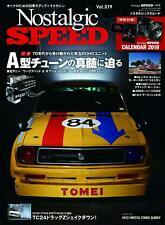 See my other Japanese watch mags also listed! AERONCA TG-5/TG-6/TG-8 GLIDER. NOT SOLD AS A COMPLETE MAGAZINE or BOOKLET! YEAR: 1986 ORIGINAL PRINT. CONDITION: GREAT. Very good condition - little to no spine, edge, or corner wear. The Book of Training with Hinako. 2009 – Japanese Import. Gorgeous condition – like new. Win ANY combination of comics that totals. What you see is what you will get. The issue pictured is the actual issue for sale. It is complete. 404 pages. Megami magazine vol. 206 July 2017 / anime NEW import. Condition is Brand New. Shipped with USPS Priority Mail. 110 pages of motocross action. The magazine has been sitting in a box in an attic is in great shape with only slight signs of corner wear. 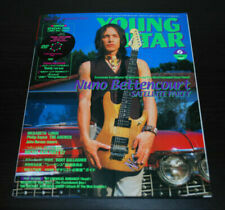 Issue No 5 2004. Super Style Kin g. JDM Magazine. a couple folded corners/light creases on cover. Monthly Magazine. A couple turned/folded corners. April 2006. 6 2006 (June). Gently read with light wear;. 1969 Dressmaking International Edition Quarterly Issues 31 & 33 Japan, Spanish . Winter 2018. 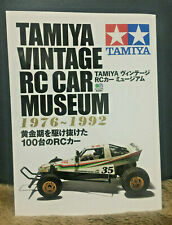 RETRO JAPANESE Magazine. SOKO ORAO 2 & SOKO GALEB 4. AND ARE INDIVIDUAL PAGES OF EACH SUBJECT AND SOLD AS. Page/s size: APROX: 7 1/2" X 11 1/2". YEAR: 1985 ORIGINAL PRINT. December 2008. Pre-Owned Item. Unit is from an Estate Sale. 1970 Dressmaking International Edition Quarterly Issue 34 Japan & Spanish . A ll the pages are intact issue 34 text Spanish & Japan covers are intact but a little dirty see photos very rare Pattern pages are included. Pattern pages are pulled loose edges of patterns are frayed. Magazine will be wrapped in bubble wrap to protect it during shipping. Famous Airplanes Of The World March 1980. McDonnel Douglas F-4E/F/G Phantom II. VINTAGE RARE MEN'S FASHION JAPAN MAGAZINE X-MEN 3-4 APRIL 1986 SHIPS FROM U.S.